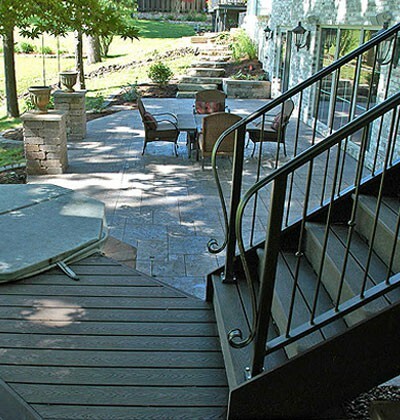 Suburban Landscaping is a full service landscape design and build company based in Peoria, Illinois. For more than 25 years, our company’s mission has been to improve and transform our client’s outdoor space into a functional, beautiful, inviting area through thoughtful, informed and creative design, implementation and service. Specializing in unique residential projects, our landscaping company strives to engage each client in a way that not only meets, but exceeds expectations. Suburban accomplishes this level of design by hearing and understanding the client’s requirements and desires while carefully considering the physical characteristics and context of each site. In this way, our landscaping company can create the most elegant, effective and sustainable designs using the most appropriate materials and techniques available. We hope to be thought of as a progressive, talented group with vision, ability and determination. If you would like to have what’s outside the doors of your Peoria, IL area home become as inviting, personalized and enjoyable as what is beneath the roof, see it transformed into a beautiful, relaxing place to be proud of where you can enjoy a solitary moment or spending time with friends and family, choose Suburban Landscaping. Our full service design and build landscape company specializes in elegant, sophisticated, functional outdoor designs. Contact us online today or call 309-691-0735 for more information about our services or to schedule an appointment for a consultation on your landscape.